The staff here at JRA Imports have been happy serving the Tracy, CA area and would love to help you find your vehicle. JRA Imports is a family owned and operated dealership located in Tracy, CA that has been in business for over 3 years. We also offer extended warranties on all the cars we sell. We are a CARFAX certified dealer and every car we sell comes with a free CARFAX vehicle history report. Visit us on Facebook at https://www.facebook.com/JRAImport/. 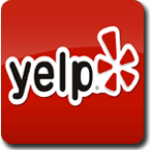 Check out our Yelp Reviews to see how happy our customers are with their purchase. Our customers leave happy. Stop by today to find out what we can do to get you in the vehicle of your choice. We are closed on Fridays between 1:00pm-2:15pm.